This week I will be speaking at the inaugural Machine Intelligence in Autonomous Vehicles Summit in Europe, June 28th and 29th, in Amsterdam. It is great to work with the Re·Work team who run this event alongside their main Machine Intelligence Summit. The Summit will bring together speakers who are at the forefront of Machine Intelligence to discuss the key issues facing development in this area with a focus on Autonomous Vehicles. I will get to ask questions on ‘what the future of the world will be like’ to all these industry experts and get their opinions, as well as some inside knowledge of their very cool research and discoveries. Machine Intelligence brings together many of the key trends that we are seeing in the business world right now. The current ‘intelligence’ in Machine Intelligence lies in utilising the increasingly large datasets that businesses collect in order to model algorithms that can predict behaviours. 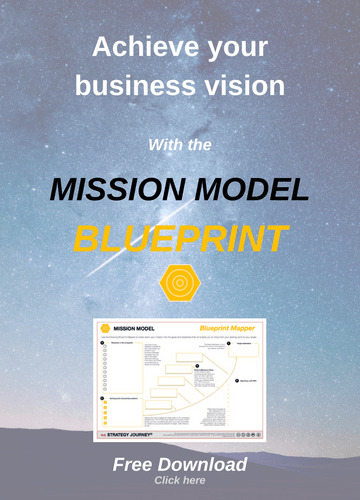 This is changing how we value businesses as they move from a pipeline model around manufacturing, to a data model, where their value is in their data, and hence a platform driven model. Having come from a FinTech background, as well as being an engineer from the Telecommunications Industry, Data is one of my favourite topics, as well as cars in general. Yes I’m a big Formula One fan, so I am rather conflicted about the advantages of Autonomous Vehicles, while also being fascinated by them. It will also be amazing to discuss how we will operate as human beings in a future where we have driverless cars and robots, and much more autonomous technology, while also having data which will change the way we think about Intelligence in general. What is the future beyond the predictive models we receive from our shopping habits on Amazon? The Summit will showcase some of the amazing projects in this area and discuss topics around the challenges to adoption of driverless technology. Speaking to Pip from Re•Work in March, I highlighted the obstacles that we face in the adoption of driverless technology. Will everyone want to give up car ownership? How will we produce the power, or plan our cities in order to enable us all to enjoy the benefits of this advance? I look forward to the discussions with peers from AI and MI, including Hans Anderson who will dive into urban planning. How can we plan our cities to make the most of autonomous vehicles? Hans is based in Singapore so this will be very fascinating indeed as we can get an inside track into how Singapore (whom I’ve written about as having an Agile Operating Model) will develop and change its world-class infrastructure. Sjoerd van der Zwaan of 2GetThere will be talking about the next stage of their ParkShuttle Rotterdam project. ParkShuttle is an autonomous system, the first permanent automated level 4 system, which transports around 2000 people per day. The company are looking to renew this contract as well as expand with projects in the Middle East, moving towards more permanent deployments of this tech. With just a week to go, I was speaking to Nikita (CEO at Re·Work) about my excitement ahead of the Summit. Just as I felt at the Deep Learning Summit in September last year, Re•Work’s events are a valuable chance to come together with others in the Big Data, Artificial and Machine Intelligence community to discuss how we can navigate the possibilities of this technology together in the future. I will be writing a round up of the Summit afterwards, so stay tuned to the blog for more updates. The Summit was a great success! Julie Choo is lead author of THE STRATEGY JOURNEY book (Coming in 2018) and the founder of THE STRATEGY JOURNEY® Community. She speaks regularly at numerous tech, careers and entrepreneur events globally. In 2015 Julie founded STRATABILITY.CO, a boutique learning and buisness coaching function that helps individuals and businesses to accelerate their capabilities. Julie is also a strategist who consults regularly at large Fortune 500 companies, Global Banks and tech start-ups. As a lover of all things strategic, she is a keen Formula One fan, and follows football especially the Arsenal Football Club.